Anyway, I asked my mom if she had any reading suggestions. She, to my eternal gratitude, suggested that I read Emma, by Jane Austen. I vaguely remembered hearing something about Austen being a great writer and figured I’d give it a try. At first, to be honest, I didn’t like Emma. I found it (sorry for the sacrilege! I’m a Janeite now!) dry and dull and boring and way too long. When I finally finished it, I put it away with relief. But a few weeks later, I found myself in the same predicament as ever. I had nothing to read. So, with nothing else to do and feeling certain of further boredom, I began Sense and Sensibility. I found it more interesting than Emma and admired Elinor Dashwood greatly, but I still didn’t like it much. However, I liked it enough to give Jane Austen another chance, and I began Pride and Prejudice. That was the turning point for me. The witty dialogue, the ironic comments from Mr. Bennet and the wonderful characters all combined to make me fall completely in love with Austen and become a Janeite. In rapid succession, I read the rest of her novels (Mansfield Park, Northanger Abbey and Persuasion), reread Emma, P&P and S&S, and searched frantically for other sources to feed my Austen obsession. It was around this time that I discovered Yet Another Period Drama Blog. Some of the posts on it mentioned Austen adaptations. 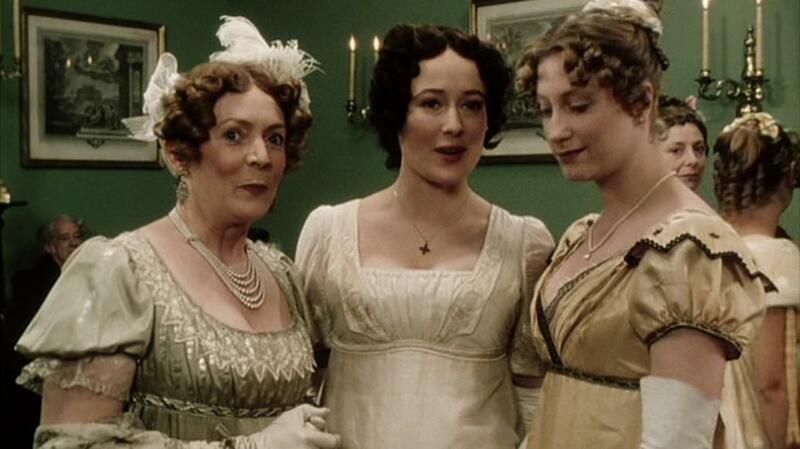 I wondered whether any movie could really do Jane Austen justice and decided to find out. My favorite of Austen’s works at that time was S&S, so I looked up a movie version of that at my local library. I found the 1971 BBC version and watched it ASAP. Yes, it wasn’t a very good quality movie. Yes, some of the acting was bad and the costumes were a little strange. I was hooked on Austen adaptations nonetheless. I found the 2009 BBC adaptation of Emma next, and loved it even more. Romola Garai and Jonny Lee Miller were perfect in their roles, and the costumes and sets were gorgeous. So, I began searching for a P&P adaptation. I discovered both the 1995 and the 2005 ones at the same time. My parents were getting a little sick of 5-hour adaptations by this time, so I decided to get the 2005 one first. I watched it and found it reasonably good. It was nowhere near the 1995 one, of course, but I didn’t know that at the time. As I’ve mentioned before, I had discovered Yet Another Period Drama Blog several weeks before I watched the 2005 P&P. I naturally heard Amy praise P&P95 a lot, and so I was eager to watch it. I checked it out of the library and waited impatiently until Friday, when I could watch it. As soon as the opening music played, I fell in love with the movie. I was already in a fair way to do that, but the horses galloping across the field…and Jennifer Ehle looking like *my* Lizzy…I couldn’t help it. I watched three episodes of it that night, but then I had to go to bed. I had to wait for over a week before I could watch the rest of it, which just made me like it even more. At the ending, my heart went all Wicked Witch of the West on me, and all of a sudden I was more of a Janeite than ever. And that is how I met P&P95. This story was submitted by Miss Jane Bennet of Classic Ramblings. We plan to post one every Friday. Yes, this is Saturday--Amy's visit has thrown everything a little out of whack but it should return to normal soon! To find out more about this blog series, go here.